Hidden for centuries below the shifting Egyptian sands, the Pyramid of Horus sat undisturbed, until a research expedition on the limestone plateau of Abu Rawash uncovered it. Filled with treasures as rich as the Nile delta it borders, the pyramid is a beacon, summoning a group of exceptional Adventurers eager to put their hands on the priceless archaeological relics contained within. But with a myriad of hazards lying in wait, once you enter the pyramid you might never come out. Descend into an ancient Egyptian pyramid with The Adventurers: The Pyramid of Horus, a standalone board game of danger and exploration for 2-6 players. In this fast-paced and tense experience, whichever player escapes from the pyramid alive and with the highest Treasure value wins the game. Will you emerge bearing priceless archeological treasures or will you succumb to the mortal dangers waiting inside? 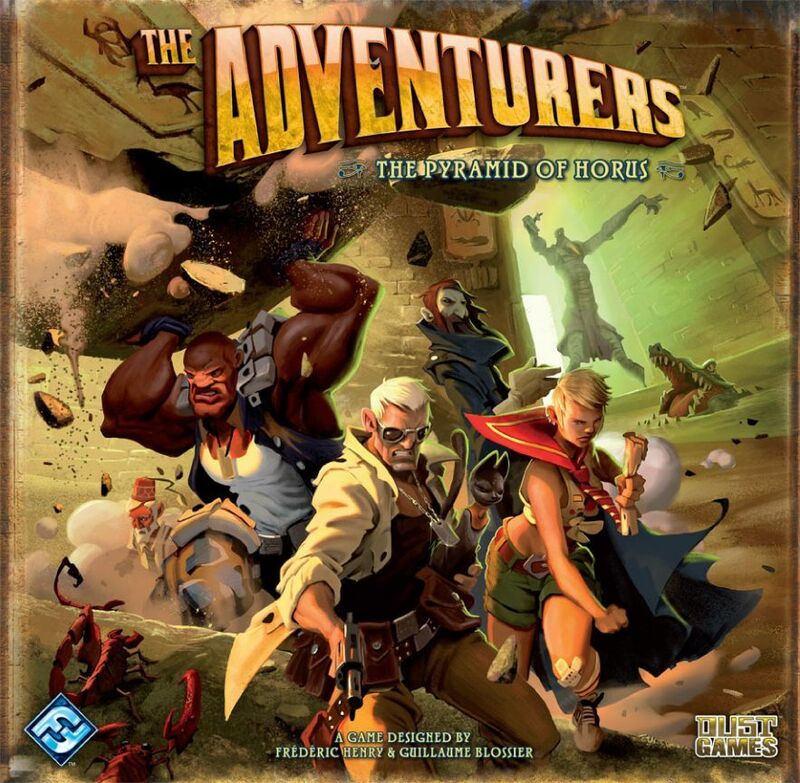 As one of eight Adventurers – each with a special unique power – you can explore the pyramid, searching for archaeological relics hidden or buried in four chambers or corridors. But perils haunt your pursuit of treasure, and falling stones threaten to trap you inside forever if they obstruct the only way out. Adventurers must also be wary of hidden threats that can wound them and living mummies who roam the corridors! Disturbing a cursed pyramid has its hazards, but there is no adventure without risk. Can you make it out alive and wealthy or will this ancient Egyptian tomb be your final resting place?